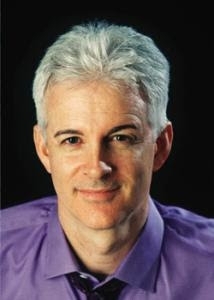 (Hawai’i)– The University of Hawaiʻi at Mānoa Better Tomorrow Speaker Series presents a free public lecture, “Confessions of an Enemy of the People: Media in the Age of Trump,” by Pulitzer Prize-winning journalist Ellis Henican, Wednesday, January 30 at 7 p.m. in the UH Mānoa Architecture Auditorium. Henican is a New York Times bestselling author and a popular cable-news pundit. He is also the voice of Stormy on the hit Cartoon Network series Sealab 2021. His dozen books include TRUMPITUDE: The Secret Confessions of Donald’s Brain. Henican is a regular commentator on national talk and news shows. As a longtime political correspondent, he offers an inside view of the changing news media and its contentious relationship with the Trump White House. He is prepared to speak about the ongoing government shutdown and prospects for resolution, on the political impasse over immigration reform and the border wall, on the administration’s prospects in a divided government and even on Congresswoman Tulsi Gabbard’s presidential prospects. UH and community sponsors include: UH Mānoa Better Tomorrow Speaker Series, Hawai‘i Community Foundation, Hawai‘i Publishers Association, Scholars Strategy Network, Society of Professional Journalists Hawai‘i Chapter, UH Mānoa Alumni Relationsand the UH Mānoa Public Administration Program. Learn more about Ellis Henican. Launched in 2011, UH Mānoa’s Better Tomorrow Speaker Series presents compelling, incisive talks on some of the most important questions of our time. Bringing together experts of world renown with students, faculty, elected officials, and community leaders, the series spotlights emerging research and innovative solutions to public problems.